Technology is today the base of the functioning of any company. Brands that focus on mobility, security and availability of online services should consider migrating to cloud computing. 1. On-Demand Self Service: A customer can avail any contracted computing resource such as processing power, storage space, or application programs from a service provider without human interaction. 2. Broad Network Access: The computing resources can be accessed anywhere, anytime with any standard device which can access the web. confined service. The pooled resources may be geographically spread across multiple data centers. The computing resources of a provider are shared by several customers. The resources are dynamically assigned to customers depending on the demand. 4. Rapid Elasticity: Computing resources may be availed elastically by customers. A customer may request more resources when needed and release them when not required. From a customer’s point of view, the resources are unlimited. The customer pays only for the total resources used. 5. 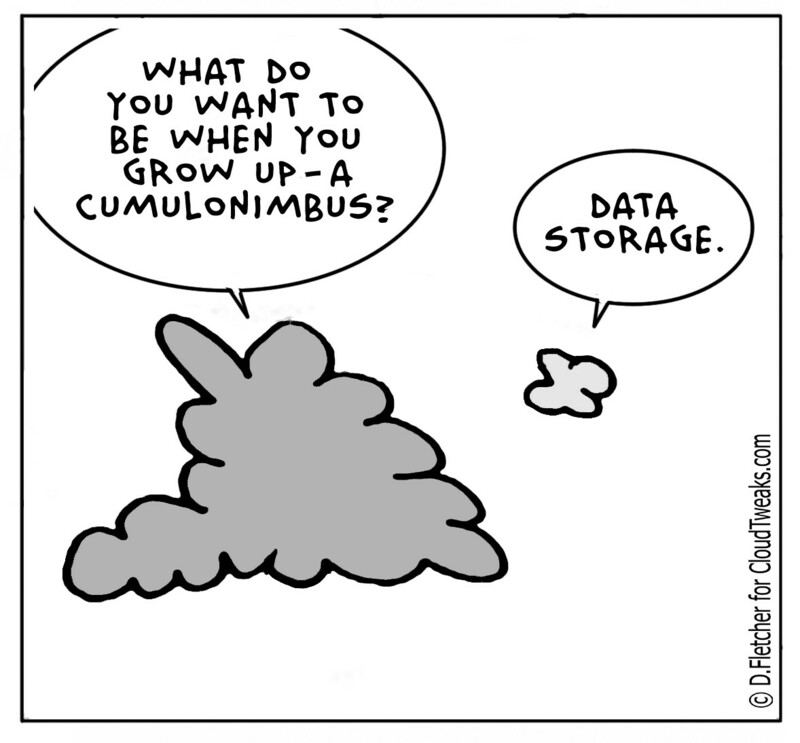 Measured Service: Cloud computing systems are adaptive systems. They automatically balance loads and optimize the use of resources. A user is permitted to monitor and control resource usage, thereby providing transparency in bills. 1. Software-as-a-Service (SaaS): Instead of installing software on the client’s machine and updating it with regular patches, frequent version upgrades etc., applications like Word processing, CRM (Customer Relationship Management), ERP (Enterprise Resource Planning) are made available (hosted) over the internet for the consumption of the end-user. 2. Platform-as-a-Service (PaaS): Instead of buying the software licenses for platforms like operating systems, databases and middleware, these platforms and the software development kits (SDKs) and tools (like Java, .NET, Python, Ruby on Rails) are made available over the Internet. 3. Infrastructure-as-a-Service (IaaS): This refers to the tangible physical devices (raw computing) like virtual computers, servers, storage devices, network transfer, which are physically located in one central place (data center) but they can be accessed and used over the internet using the login authentication systems and passwords from any dumb terminal or device. 1. Public Cloud: It is available from a third party service provider through the Internet and is very cost effective for SMBs to deploy IT solutions. For example, Google Apps. 2. Private Cloud: It is managed within an organization and is suitable for large enterprises (managed within the walls of the enterprises). 3. Community Cloud: It is used and controlled by a group of enterprises, which have shared interests. 4. 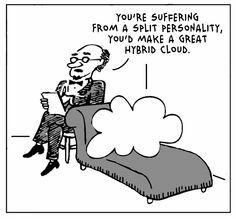 Hybrid Cloud: It is a combination of the public and private cloud. 1. The rapid growth of computer and communication technologies: Technological growth in computing and computing devices, and in the data communication lead to the tremendous growth of cloud technology. 2. Changes in management philosophy: Decades ago, most of the organizations used to keep their data manual or store their data in on-premise infrastructure. But to meet the global competency, most of the organizations want to utilize their time to improve the business, and ready to outsource their IT requirement. 3. Availability of excess computing capacities with giant corporations such as Amazon and Google. • Flexibility: Cloud-based services can rapidly meet the business demand of any organization by providing various services. • No Up-Front Cost: Cloud computing services are typically pay-as-you-go, so there’s no need for the upfront cost of infrastructure. Since cloud computing is much faster to deploy, businesses (SMEs) have marginal project start-up costs and expectable ongoing operating expenses. • Increased collaboration: Cloud computing upsurges collaboration by allowing all employees to synchronize up and work on documents and shared applications simultaneously from their own place. It even allows them to follow colleagues and records to receive critical updates in real time. • Automatic software updates: Cloud service providers do the server maintenance including software upgrades, security updates, freeing up their customers’ time and resources for different other tasks. • Document control: If a company doesn’t use the cloud, workers have to send files from side to side over email. This means only one person can work on a file at a time and the same document will be duplicated in millions of formats and names. • Security: Businesses storing everything in the cloud, can access the data even anything happened to the machine. • Work from anywhere: Cloud computing allows employees to work from anywhere. This elasticity positively affects knowledge workers’ work-life balance and productivity. • Environmentally friendly: Businesses adopting cloud computing uses only the server space they needed, so it decreases their carbon footprint and saves the environment. • Disaster recovery: When companies start trusting on cloud-based services, they need not have to device complex disaster recovery plans, because cloud service providers take care of most issues in a very fast manner. • Competitiveness: The cloud technologies grant SMEs access to enterprise-class technology by providing various ERP solutions. It also allows small and medium businesses to act faster than established, big competitors. The cloud will be particularly useful in enterprises that are not able to predict how many users will benefit from the site or application yet. In the case of physical servers, after exceeding the threshold of equipment capacity, the page simply stops working. Such situations occur most often in the e-commerce sector, eg before Christmas, when the interest in online shopping increases. A similar problem is faced by websites with tickets for concerts of stars or sporting events, which are very popular. Another example can be blogs based on unpredictable user activity. Lack of access to the portal or application results in the loss of trust in the brand, and, as a result, in financial and image losses. According to the report “Veeam Availability Report 2017” unplanned downtime in the availability of resources cost companies even $ 21.8 million. annually! Cloud servers give the possibility of immediate and arbitrary scaling of computing power, which translates into constant access to data when paying only for used computing power. Choosing the right partner in the field of virtualization in the form of an experienced data center operator also increases the security and stability of IT infrastructure operations. In addition, the customer receives support in the case of current updates or incidents. Many companies that, for example, use their own servers or dedicated equipment in an external data center, in the next step decide on virtualization. This entry was posted in General, IT and tagged cloud, cloud computing, cloud for companies, community cloud, company, coputing, data center, DC IDC, Ehost data center, ehostidc, enterprise, hi-tech, hybrid cloud, IaaS, Infrastructure-as-a-Service, PaaS, Platform-as-a-Service, private cloud, public cloud, SaaS, Software-as-a-Service, tech, technology, techy. Bookmark the permalink.